Rachel Tucker, 94, of Cary, passed away peacefully leaving behind a legacy of love for family, faith, music, teaching, and sewing. She was dedicated to her church, First Baptist Church of Raleigh, volunteering for years in the church office and Clothing Ministry. For over 30 years, Rachel was an elementary school teacher at Cary Elementary and Briarcliff Elementary. 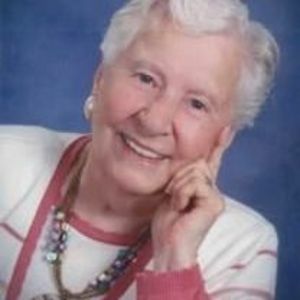 She enjoyed giving piano lessons and was an accomplished seamstress. Rachel was called "Sunshine" by many due to her happy demeanor and kindness to all. Rachel was born in Utica, Mississippi and was one of five daughters. She was married to her husband, Dr. Charles Tucker, for 64 years supporting him as a Pastor in Louisville, Kentucky, Parkton, NC and then in Cary, NC where together they helped found Greenwood Forest Baptist Church in 1963. Rachel is survived by her two sons, Randy and Ed Tucker, their wives Zoe McKay- Tucker and Noel Tucker; her grandchildren Christopher Tucker, Lucas McKay, Spencer McKay, Zachary Tucker, Dylan Tucker and Mary Jordan Tucker; her great grandchildren Ethan McKay and Emerson McKay; and her honorary granddaughter Namthip "Orange" Bloem. A visitation will be held on Monday, January 22, 5:30-7:00 pm at First Baptist Church of Raleigh. A celebration of life service will be held on Tuesday, January 23, 11:00 am at First Baptist Church of Raleigh. In lieu of flowers, donations in Rachel's honor may be made to the Tucker Scholarship Fund or the Clothing Ministry, both of First Baptist Church Raleigh, 99 N Salisbury Street, Raleigh, NC 27603. Brown-Wynne Funeral Home of Cary is proudly serving the family.